This is not the choice. You must take it. We are not a mystery to The All knowing Creator God. We may have limited understanding of ourselves, and our ways, our ideologies and habits, our tendencies and inhibitions… but we lay naked before God. The Lord is funny in how He treats each of us, respectively and uniquely. He calls us His peculiar people. I think it’s funny how God asks us questions, to things He already knows the answers to. After Adam and Eve fell, He asked the couple “where are you?”. As if they could hide from His presence. After killing Abel, the Most High God asks Cain, “where is your brother Abel?”. And when Elijah runs away into a cave on the mountain of God, Horeb, the Lord asks him, “what are you doing here?”. The Lord knows where we are, what we are up to and what we are thinking, even when we try to hide or think He is not paying attention. He is no stranger to how it feels to want to be alone, to be abandoned, rejected, misunderstood or forgotten! He is not even ignorant of the ugly burden of sin! The Almighty’s questions pave the way for directives. The Lord wants us to think about our current situations, because in doing so He will provoke us to make changes! When we come before God, we should be able to come boldly, without fear knowing He deals with us with compassion. The Lord wants us to confess, but to also self reflect. 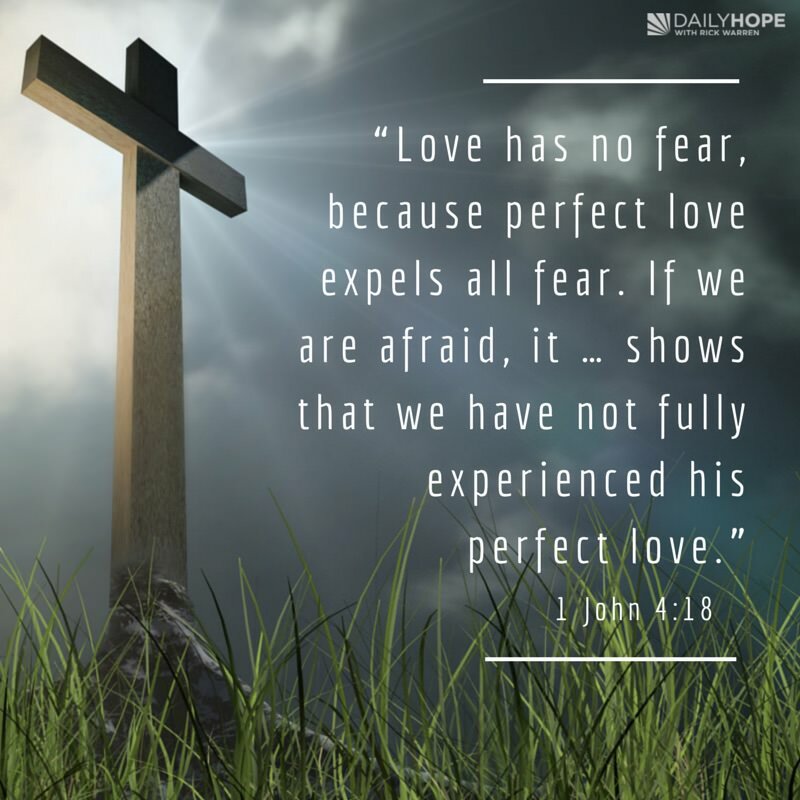 He desires that we come to Him with honesty and without fear.The bible says ‘perfect love casts out fear, but if we are afraid, it is for fear of punishment, and this shows that we have not fully experienced his perfect love.’ Sometimes we miss the mark of religious lifestyle and behavior, but God wants us to respond to the mistakes, sins, and contradictions in our inner being. SO He will ask questions! 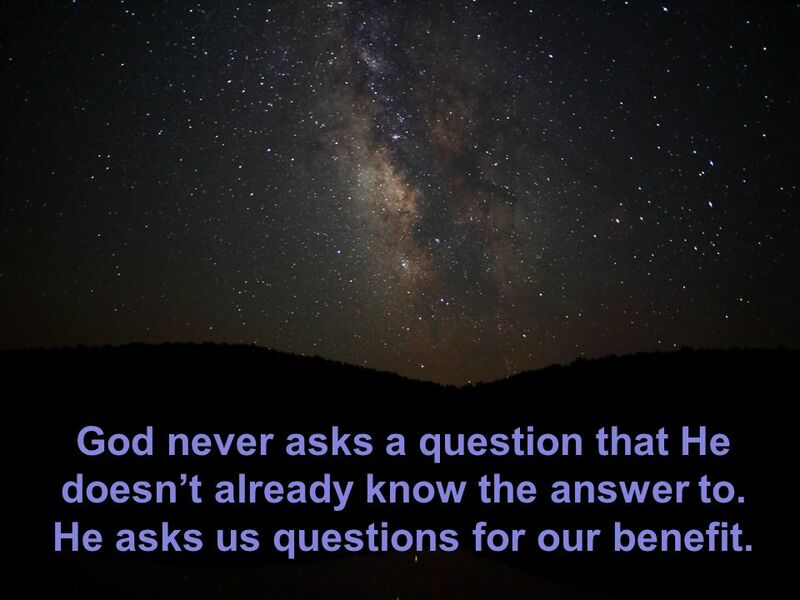 So why does God ask us questions, if He knows the answers!? He loves us so much that He wants to help us out of the wrong state of mind in which we are. God wants to meet us wherever we are mentally, physically, emotionally and even financially. Lord God! You are so funny! I feel like Peter when you asked him 3 times if he loved you. ‘You know all things Lord!” Why are you asking such a thing if you know the answer!? We know that you know better than us, you know our reasons and intentions and you also expect us to respond to life in a righteous manner. I pray that you increase our wisdom, and our strategizing so that we may be able to respond to any mess we have gotten ourselves into. I also pray for humility and courage to come boldly before your throne to find mercy. I pray you work all things to good, and give us the strength to get up and keep walking like Elijah. This I ask, in the name of the Almighty Jesus, Amen.